I’m trying to make up for lost time now! 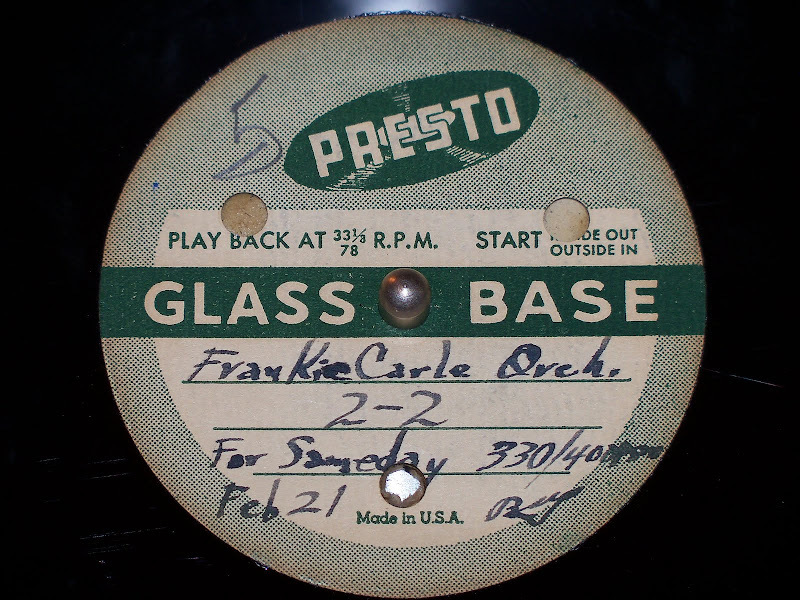 This is Frankie Carle and his Orchestra, with special guest Betty Bonney. The program was broadcast from The Cafe Rouge at the Hotel Pennsylvania in New York. Unfortunately it’s incomplete; the record is marked 2 of 2, and I don’t have the first one. This record was exceptionally noisy. I did the best I could to reduce the noise but the audio is still not great. But with a well-played, 66-year-old record, what can you do?